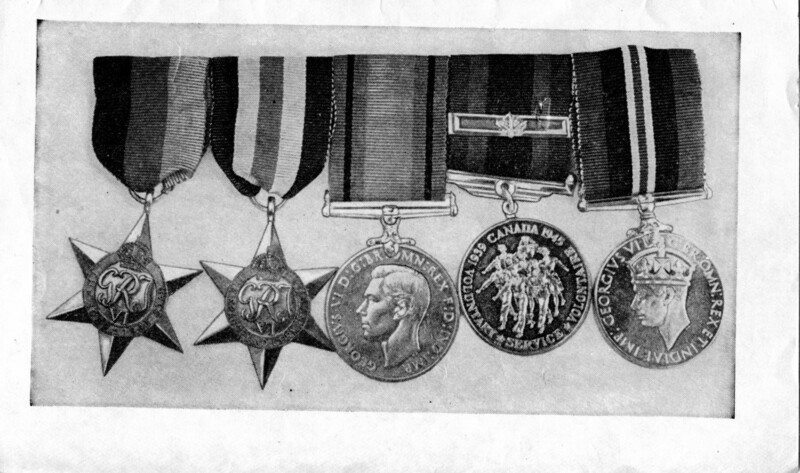 Page 11 – Information regarding mounting and wearing of decorations, campaign stars and medals, published by the Department of Veterans Affairs Canada circa 1945. 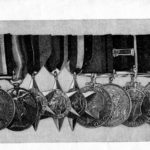 This little manual was handed out to Canadian service personnel about 1945 to show them how to mount and wear their decorations, campaign stars and medals. 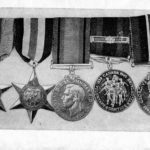 It was published by the Department of Veterans Affairs, Canada. 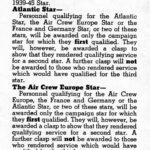 Page 3 – Information regarding mounting and wearing of decorations, campaign stars and medals, published by the Department of Veterans Affairs Canada circa 1945 page 2 was blank. 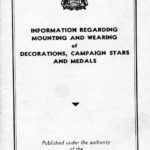 Page 4 – Information regarding mounting and wearing of decorations, campaign stars and medals, published by the Department of Veterans Affairs Canada circa 1945. 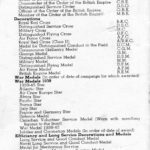 Page 5 – Information regarding mounting and wearing of decorations, campaign stars and medals, published by the Department of Veterans Affairs Canada circa 1945. 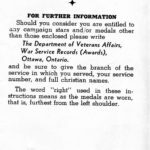 Page 6 – Information regarding mounting and wearing of decorations, campaign stars and medals, published by the Department of Veterans Affairs Canada circa 1945. 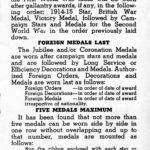 Page 7 – Information regarding mounting and wearing of decorations, campaign stars and medals, published by the Department of Veterans Affairs Canada circa 1945. 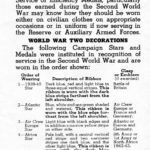 Page 8 – Information regarding mounting and wearing of decorations, campaign stars and medals, published by the Department of Veterans Affairs Canada circa 1945. 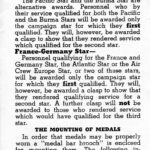 Page 9 – Information regarding mounting and wearing of decorations, campaign stars and medals, published by the Department of Veterans Affairs Canada circa 1945. 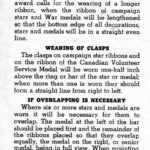 Page 10 – Information regarding mounting and wearing of decorations, campaign stars and medals, published by the Department of Veterans Affairs Canada circa 1945. 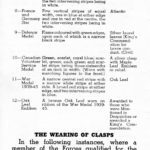 Return to Military Knowledge page.